Hurricane season starts tomorrow, June 1, and it’s time for all of us to finalize preparations at home as well as at the University of Miami. Click here to go to the updated version of "Weathering the Storm," the University's condensed guide to hurricane preparedness. Print out a copy and refer to it in case a storm is approaching. Although we are preparing for the upcoming hurricane season, the University Disaster Plan provides guidelines for handling any type of emergency life-safety situation that may arise, whether it impacts the University campuses only or has a greater impact on the surrounding community. The University Disaster Preparation and Recovery Plan is available online. The emergency preparedness website, www.miami.edu/prepare, provides you with up-to-date information regarding emergency preparedness. There’s a unique element in this year’s hurricane planning: challenges due to new storm surge planning zones that encompass larger portions of Miami-Dade County. Improved modeling technology will help determine a hurricane’s projected storm surge and evacuation of targeted zones, independent of the hurricane’s category. Administrators are working with county officials in assessing the impacts to University students, employees, and facilities and will communicate any changes to current policies and procedures. If you live in Miami-Dade County, determine if you live within a storm surge planning zone by visiting tinyurl.com/md-hurricane zone and enter your address, or call the Miami-Dade County Answer Center at 3-1-1. For more information about the zones and what you can do to prepare, go to the county’s Emergency Management website, www.miamidade.gov/fire/emergency-management.asp. When a situation warrants, mass text messages and emails containing emergency information will be sent out. Now is the time to make sure the University has your current information by verifying your profile on MyUM at www.miami.edu/myUM. To confirm or update your contact information: Log on to myUM. On the home page, click on “Personal, Address and Emergency/Evacuation Information” in the “Personal & Biographical Info” section in the right-hand column. Confirm or update your emergency and storm preparedness information: Go to myUM and click on "Personal, Address and Emergency/Evacuation Information." On this page you will find a link to forms where you can provide contact information for someone who will know how to reach you in the event of an emergency that requires you to leave your residence. On the same form, list an address and phone number where you can, most likely, be reached if you were not able to live in your home. If you do not have information for either of those, click the boxes to indicate you don’t have a contact or don’t know where you’ll be. Messages in a time of crisis are immediately posted on the University’s home page, www.miami.edu. Additional information about clinical and research operations on the medical campus can be found on the Miller School of Medicine’s home page, www.med.miami.edu. Information is updated on a recorded message on the UM Emergency Information Hotline, 800-227-0354. In a time of crisis, trained staff are available to answer questions live. Log on to myUM. On the home page, click on “Personal, Address and Emergency/Evacuation Information” in the “Personal & Biographical Info” section in the right-hand column. Click “Submit” to update information. The University will send out Storm Alert emails and post up-to-date information on its Storm Alert/Emergency Preparedness website, www.miami.edu/prepare, whenever a major storm is within a 500-mile radius of South Florida or during any other type of emergency crisis. You are urged to check the website for all official University emergency announcements, respond accordingly to the cell phone emergency call, or call one of the hotline numbers listed in the hurricane preparedness guide. The hotlines are updated frequently during emergencies and contain current information about University operations. The University of Miami Health System (UHealth) mission of providing quality patient care makes the institution unique among the University's programs and calls for special concerns in the event of an approaching hurricane. Emergency announcements issued from the Miller School and its hospitals and clinics may differ from statements released by the Coral Gables and Rosenstiel campuses. 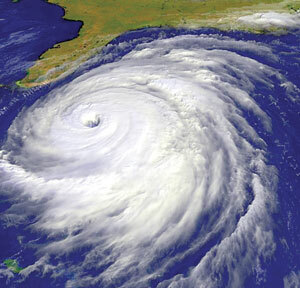 During a "warning" level of a hurricane or tropical storm threat, University of Miami Hospital will continue to operate under its established Hurricane and Tropical Storm Emergency Response Plan. Department directors will brief hospital employees on their department's proper procedures and their specific responsibilities in the event of a hurricane. The Miller School's annual Hurricane Update will be available online May 31, and additional information will be sent via email. After a storm, students, faculty, or staff who are forced to evacuate or temporarily relocate to another area should notify the University of their new location and contact information by going to recover.miami.edu. This is the online site where you should "check in" following a hurricane. This will help us determine that all members of our UM community are safe and ascertain who needs emergency assistance.